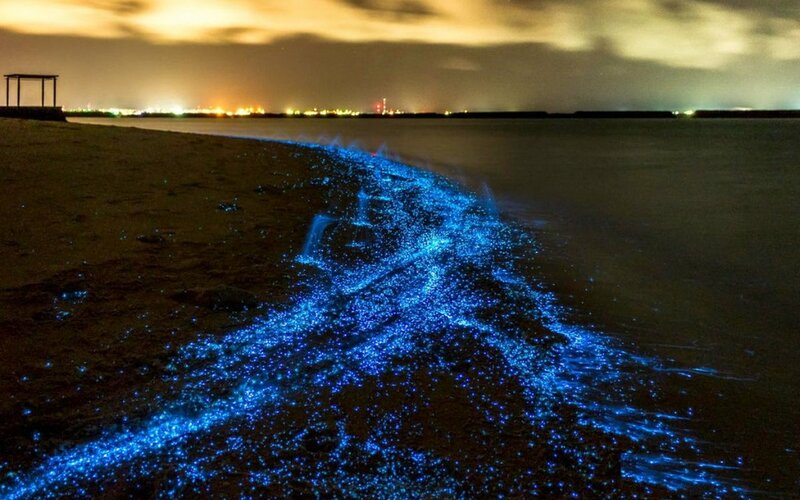 Vaadhoo island is famous for the 'sea of stars.' This marine bioluminescence is generated by phytoplankton known as dinoflagellates. 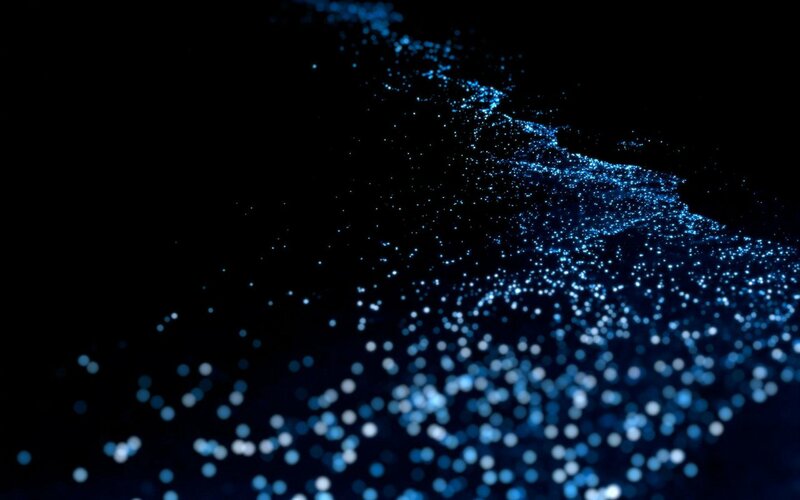 When marine bioluminescence jostled, each organism will give off a flash of blue light created by a chemical reaction within the cell. The rare phenomenon is usually only seen further away from land when ships stir up the seabed.